As part of our commitment to work with our neighbours in and around our new White City Campus, we are excited to announce the launch of a new fund which supports community-led science and technology projects. 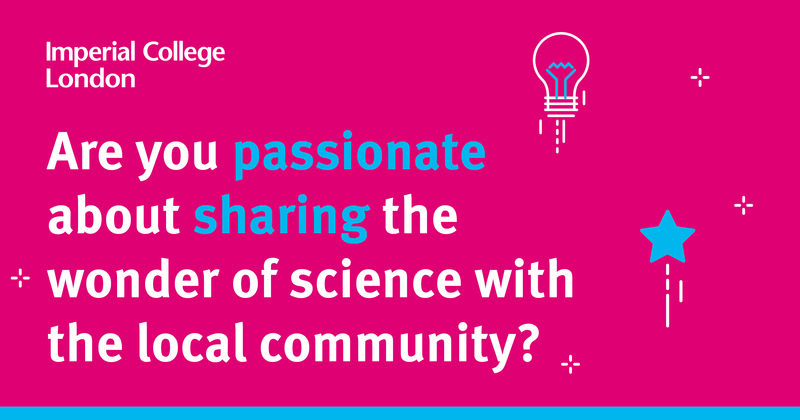 We are offering seed funding of up to £2,000 to local residents and community groups who wish to explore and share the wonder of science with their communities. You can read more about the fund on our website. The time commitment is around 2 – 3 hours a month for the duration of the project (between 1 – 6 months). Project support will be given to the community project coordinators by the White City Community Engagement Team. If you are interested in being matched with a project, please register before Monday 1 March.